I Love Celebrating October First! For many years (I promise not to say how many), October first has been a special day in our family, as someone who means a great deal to us was born on that date. Over the years, the joy of the day has been added to for me by the fact that two people I admire very much, not just for what they have achieved in the public arena, but for the kind of people they are deep down, were also born on October first (in different years). 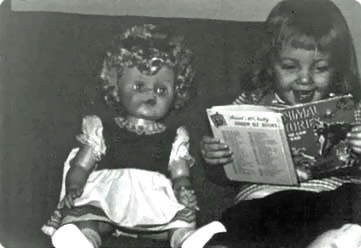 This delightful little girl reading a story to her doll has grown up to be a delightful woman who still has that lovely smile, and who now not only reads books but also writes them (she’s also a storyteller). It is as a writer that most of you know her. I’m privileged to know her as a dearly loved cousin. 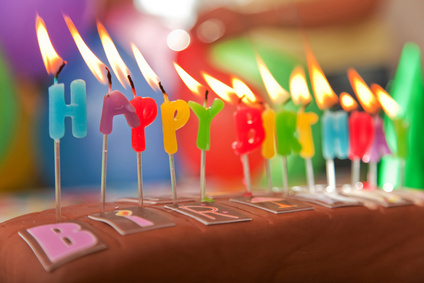 Beverley Brenna is celebrating a special birthday today and I hope you’ll join me in wishing her a very happy day. As my regular readers know, I’ve blogged about her writing often. Today I want to focus on another aspect of her life — her love of nature. Bev’s parents, who also had a great influence on my life, loved to go out and ramble in the countryside, searching for wildflowers (including rare wild orchids in Waskesiu…); canoeing across Waskesiu Lake to Grey Owl’s Cabin (click here for another canoeist’s account of a more recent trip to that cabin); and through their own enthusiasm and example, teaching their three children (and their nieces) to share their love of the natural world. This shines through in all Bev’s writing, since there is always an undercurrent of taking joy in nature and of environmental concern in her writings. Just one example from many I could have chosen is taken from the short story Finding Your Voice from Bev’s anthology of varied stories, Something to Hang On To. “Janine remembers how it felt to shout across the water and listen to her voice as it swept all the way to the sunrise and back.” Mmmmmm… that is so evocative and real. I first became aware of Jimmy Carter when he was running for President back in the mid 1970s. I admired him from the get-go, but came to understand and admire him much more deeply when I began reading his books in the 1990s. Most of his books, of course, are focused on politics or diplomacy, or on the Christian faith, but he has also written about his love of, and experiences in, the natural world. Many people know of his diplomatic efforts, his election monitoring around the globe, and his hands-on work with Habitat for Humanity. All three of these people have touched my life in a myriad of ways. One is our shared love of the world around us, in all its beauty and its potential. In celebration of these three, and of our natural world, all month my Perfect Picture Book choices will be books that draw children closer to nature, wherever they may find themselves. It seems an apt tribute. Photo of Beverley (Stilborn) Brenna. From Bev Brenna’s personal collection. All rights reserved. Well, you have a trio of individuals mentioned here that span a great spectrum of life. Happy Birthday to all three! They do indeed! Three different decades, a lot of great achievements. Whaty a wonderful birthday celebration, they all sound like inspirational people too. Happy Birthday to all three. They’ve certainly all inspired me over the years. Thanks, Catherine. Love the photos of Bev. I certainly learned some new facts about Jimmy Carter. Three people who have touched many lives. happy Birthday to all three! Jimmy Carter has so many interests that people are not aware of, and all three of the birthday people are vibrant, multi-faceted people. I’m glad you liked the photos of Bev — I have to say, I do, too! How exciting for your sister (except for the back-went-out part). It’s an auspicious day, indeed. Three great people! Some very special people on that list! 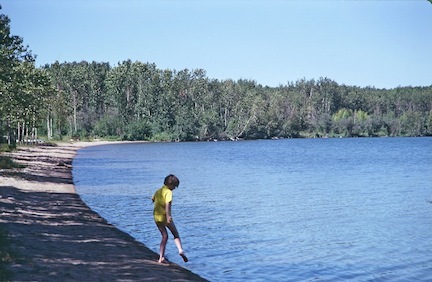 I love the photo of Bev along the lake. I immediately thought of Taylor in “Wild Orchid.” Have so much respect for Jimmy Carter and his contribution to the world community since his presidency — it really is his life work! Susanna, how special for your sister. And, I love the work Julie is doing with Operation USA. Happy Birthday to three significant people! I thought that would bring Taylor to the minds of those who “know” her. Except I thought what Bev’s wearing would make Taylor sneeze, because it’s yellow! Jimmy Carter does so much — it’s hard to believe he’s 88 today. And Julie’s work with Operation USA, and her advocacy of the arts and literacy, are so admirable. And Bev — well, I love her so much, and she’s so talented. I’m glad you enjoyed learning about them, Erik! They’re super people. I appreciate all three of them so very much. what a lovely group of people to celebrate! I couldn’t agree more, LittleMiao! Great to see you here! Happy Birthday to all of them! What gifts they’ve given the world.